These assorted Thymes fragrance and skin care that will delight the senses. There is something special about the power of fragrance. Wearing certain ones can stir a feeling almost like aromatherapy, bring back a memory, or just make you feel completely groomed. Thymes, the creative collaborative in Minneapolis, Minnesota, understands that feeling and is helping transform daily lives through their world of fragrance products to inspire, unite and captivate us. Recently, I was sent six of the Thymes fragrance collection to review. The first thing I explored from the Thymes fragrance collection was the Indigenous Tamarind Lycee Aromatic Votive. This candle is a refreshing blend of white grapefruit, tamarind, lychee blossom, and a tad of yuzu, accented with aromatic ginger and coconut milk that smelled incredible through the box. The scent was intensified and lovelier out of that box! The second product I tried was their Indigenous Malagasy Vanille Home Fragrance Spray, an oriental with vanilla scent that permeated sweetly through my home. Though the weight of the spray I was sent seemed on the light side, unless PR sent me a used sample since this is to be discontinued. The third product I tried was their Agave Nectar Cologne Spray. This was a delightful, fruity citrus fragrance of agave nectar with red grapefruit, guave and lemon blossom, which was very fresh and light. The only fault with this product was I wished it could have come in a stronger form of eau de toilette or perfume so it would last longer. I tried their matching Agave Nectar Hand Lotion in a convenient pump bottle. This lotion smelled also of citrus and as pretty as the cologne while soothing my hands with non-greasy moisture from jojoba oil, shea butter and vitamin E.
I was curious about the Kimono Rose fragrance since I heard the name hardly suited this scent. 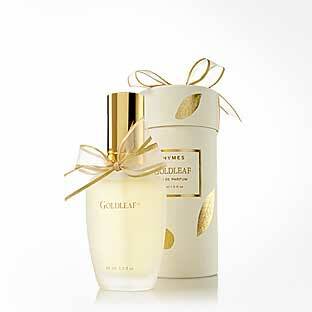 I got to compare this cologne against their other best-selling rose fragrance, Goldleaf. Although I tend to agree rose was not dominant, however, it was a soft modern floral from cassis, white peony and jasmine, which was exquisite also just in a different, unexpected fresh way from the addition of clementine. In my opinion, I saved the most beautiful Thymes fragrance collection product for last. I received their Goldleaf Eau De Parfum and was bewitched by the combination of jasmine, rose, hyacinth, and lily of the valley in this romantic floral that had staying power and is as timeless as it is a classic to be cherished. 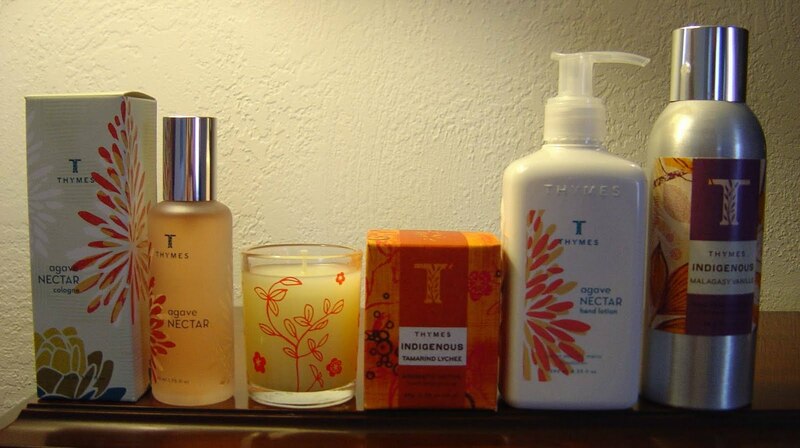 Anyone that appreciates a wonderful variety of fragrance products like I do should visit Thymes. I think you’ll enjoy exploring their website and finding the right fragrance items as well.